The Borough of Avalon allows for the sale of seasonal beach tags at pre-season prices. The beach tags are available either by stopping by the Avalon Tax Collector’s Office at Avalon Borough Hall, or through the mail. Mail orders (with a self-addressed stamped envelope) and in person purchases will begin on March 1, 2019. No orders will be accepted before this date. The cost of the beach tags remains unchanged from 2018. Cash or checks will be accepted until May 10th, 2019. You will not be mailed an actual beach tag, but a receipt that will be good to exchange for a beach tag at the Beach Tag Booth at 30th Street and the beach when you arrive in Avalon. Avalon Now Offers Seasonal Beach Tag Sales From Your Smartphone! The Borough of Avalon has partnered with Viply to provide another way for residents and visitors to purchase seasonal beach tags for the upcoming summer season. The seasonal beach tags are available via mobile app for smart phones for both Apple and Android devices. Individuals who are interested in reserving seasonal beach tags simply download the mobile app, purchase the requested number of seasonal beach tags, and pick up the actual beach tags upon their visit to Avalon from any beach tag checkers or at the Avalon Beach Tag Booth located at 30th Street and Avalon Avenue, which opens April 1st. To redeem the tag, the customer presses “scan now” in the Viply app and points the camera at the QR code displayed by the beach tag checker or at the booth. The phone will then display how many beach tags were purchased and the tags will be handed to the customer. All sales are final and no refunds will be offered; a small service fee will be applied for each transaction. 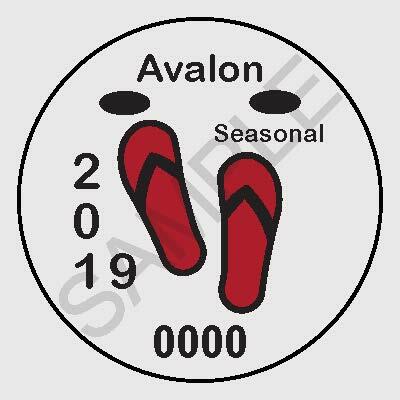 Avalon offers seasonal beach tags at the preseason rate of $23 through May 31st; on June 1st, the price of a seasonal beach tag increases to $28 for the balance of the season. Beach tags may be purchased via the Viply app anytime now through the end of the season. Individuals may view the Viply Pass Avalon Beach Tag app at www.viplypass.com/avalon-beach-tags/. The Avalon Beach Tag Booth will be open weekends starting on April 6th from 10:00am through 4:00pm; the Booth opens for the season daily starting on April 29th. Beach tags are required for all individuals 12 years or older between the hours of 10:00am until 5:00pm from May 25th through September 2nd, 2019. Daily and weekly tags will be available starting May 26th; daily tags cost $6, and weekly tags costs $12. Avalon is proud to offer free seasonal beach tags to all veterans of the United States Armed Forces. Active duty military members and their immediately families also may enjoy the beaches without a beach tag. 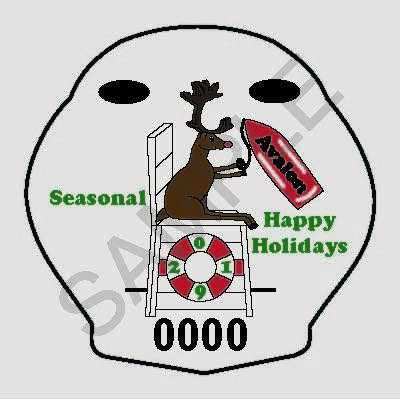 2019 Holiday Beach Tags Available at Tax Collector’s Office! The Avalon Bor­ough Coun­cil approved an ordi­nance that results in free beach tags being offered to all vet­er­ans of the United States Mil­i­tary. This ordi­nance went into effect in advance of the 2014 beach season, and continues to be in effect in the Borough. The new law allows beach com­mu­ni­ties in New Jer­sey to offer reduced price or free beach tags to any indi­vid­ual who has served in any of the Armed Forces of the United States who were dis­charged or released under con­di­tions other than dis­hon­or­able and who either have served at least 90 days in active duty or have been dis­charged or released from active duty by rea­son of a service-incurred injury or disability. Avalon continues its practice of offering free beach access to active members of the United States Armed Forces and their immediate family members. Please note that for the 2018 beach season, veterans and active military mentioned above may simply show these forms of identification to a beach tag checker in lieu of obtaining a beach tag. The Avalon Civic Club purchased the first surf chair in 1993 so all beach goers could enjoy the Avalon beach and is currently responsible for the Surf Chair Program. The surf chairs are available from 10am-5pm at the Avalon Beach Patrol Storage Units (9th, 30th, and 80th Streets) and at the Lifeguard Station (32nd & Avalon Ave.) In addition, the chairs are available offseason at Avalon Community Hall at 30th Street & Avalon Ave. (609-967-3066). Dogs are not permitted on the Avalon beach, boardwalk, or dunes anytime between March 1st and September 30th. In other areas of the Borough, dogs must be kept on a leash (when not confined) and their droppings must be retrieved immediately by the person in charge of the dogs. For your pro­tec­tion, bathing and swim­ming are per­mit­ted only at pro­tected beaches where life­guards are on duty 10:00 AM to 5:00 PM JUNE 10th THROUGH AUGUST 23rd, 2019. Use of rafts and surf­boards are per­mit­ted only at des­ig­nated beaches. Warn­ing! If you swim before 10:00 AM or after 5:00 PM or when life­guards are not on duty or if you swim at a beach which is not a des­ig­nated beach, you do so at YOUR OWN RISK and the Bor­ough of Avalon assumes no lia­bil­ity or responsibility. 30TH Street and either side of the 12th Street life­guard stand, and 63rd Street, but not near bathers. Please note: Due to low activity by surfers on the 63rd Street beach, the Avalon Beach Patrol is allowing stand up paddleboards at that location as well during 2018. Starting in 2019, smoking is prohibited on public beaches due to new New Jersey state law. Picnicking on the beach is permitted; please place refuse in trash and recycling containers. Prohibited activities also include fires/open flames, alcoholic beverages, bottles, glass, sharp objects, loud noise, indecent language/actions. No sleeping on the beach or boardwalk from sunset to sunrise. Use beach paths; trespassing on dunes and in the areas posted for endangered beach-nesting birds is strictly prohibited. Please be mindful that unattended holes left on the beach strand can cause injury to others, especially as night falls. Please be sure you fill in any holes before you leave them unattended. Never climb into a hole that has been dug on the beach as the sand may become unstable and cause an unintended entrapment.